He is a well-known Indian animated character, Chhota Bheem which, for the first time, arrives in home cinemas with a totally brand new look. Below the trailer of the film. 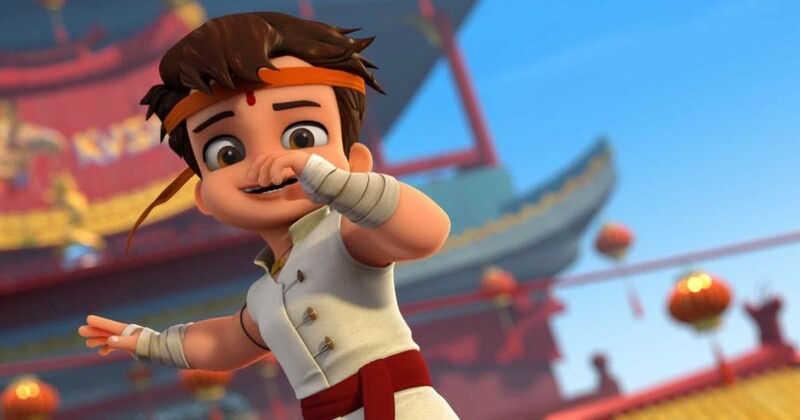 Is titled Chhota Bheem Kung Fu Dhamaka the first full leight adventure with a powerful makeover in 3D CGI for the young martial arts lover, directed by Rajiv Chilaka and Binayak Das and produced by Green Gold Animations studios. "The film is the result of two years of effort by a young team. We hope our audiences enjoy the film and we wish to make an impact about the quality of Indian Animation throughout the world", said Chilala, founder and CEO of the animation studios. The film is set in China, where Bheem and his friends set out on an adventure in the Land of the Dragon to participate in the biggest Kung Fu competition in the world. However, the capturing of the princess by China's arch nemesis Zuhu hinders the competition, and Bheem is called upon to rescue the princess.